H is to Hold - A Rose Is A Rose Is A Rose! 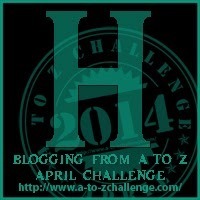 My theme for this year’s Blogging from A to Z April Challenge is Marriage from A to Z in 55 Words. H is for Holding Each Other in Marriage! She was walking down the road, yelling at him over the phone. A sight made her stop in the tracks. She disconnected the call and suddenly felt more miserable. When was the last time they did it, she mused. In the pragmatism of life, holding smartphones and grocery bags had taken precedence over holding hands! Join me in enjoying the blog from fellow wHooligan Helen Jameson. Do share some blog love with her too! I don’t know what to say… reading it here I too miss that feeling… This sounds so apt in todays world! It gives you such a feeling of security, to be connected to someone in such a way. …and miss out on small joys!! So true!! Love both the quotes – perfect. We started our journey holding hands and I want us to continue like this forever! Holding hands might seem like a simple gesture but its more than just that. I totally love holding hands while walking around, whereas some people think that is a PDA. I loved this — one of the reason I never allowed phones or T V during dinner time — it was family time, time to relate and talk to one another. To hold hands and say a prayer of thanksgiving. Love this… Me and my wife Anu love to hold hands and walk when we go out most often! Oh ! The peace that descends on the stressed mind when someone holds our hands and pacifies us ; as a daughter it was dad, or mom ; now as a wife, it is the hus ! So much of peace it provides !! I would say holding hands mean they are locked in palm-kiss. Holding hand of a loved one with warmth is soothing . SG, by far a very wonderful statement and an offshoot of a keen sense of observation, I’m certain. utterly sweet!! so many problems could be solved if we just held each other’s hands!! I should send this post to Pravs! This is such a sweet post, feel like going…awwww…. :) But really, there is nothing better than holding hands to simply convey the message – I care for you. I really do. No matter what. We always walk hand in hand and people call us a romantic couple! I mean, a couple is suppose to hold hands, right? I feel incomplete if he’s around me and I’m not holding him. These small things matter so much in a marriage. Oh….so true, Shilpa. Little expressions like holding your hands brings in security, warmth and speaks volumes about love. I think holding hands is more romantic than anything else. Sweet post. One of your best Shilpa. simple and sweet. I have always loved holding my husband’s hand, since the days we met. Revealed the intimacy any couple need to share. 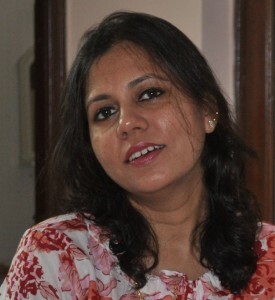 Awww…love this one, Shilpa. The feeling of comfort when holding your loved ones hand is priceless. I love holding hands… 🙂 make sure I do while walking. a very sweet post Shilpa n so true. Made my eyes mist, I’ve no idea when I last held hands. This one made me think and really I believe it has been a long time..
It’s been a long time since we’ve held hands too. This was a great post. thanks for sharing it. Beautiful message in few words. So true Shilpa, it is comforting to hold hands when you are out walking. Here in the US most people hold hands but back in India, it is only the very young or very old that do so. 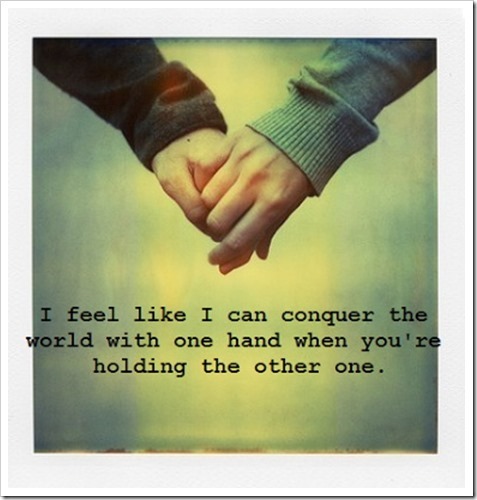 Yes, it’s wonderful to have someone you can hold hands with. 🙂 We still do, after 40+ years of marriage. My husband and I hold hands whenever we can…when we’re out walking, when we’re sitting on the sofa watching tv, etc.